Posted December 13, 2014 by Hanme Kim & filed under Uncategorized. 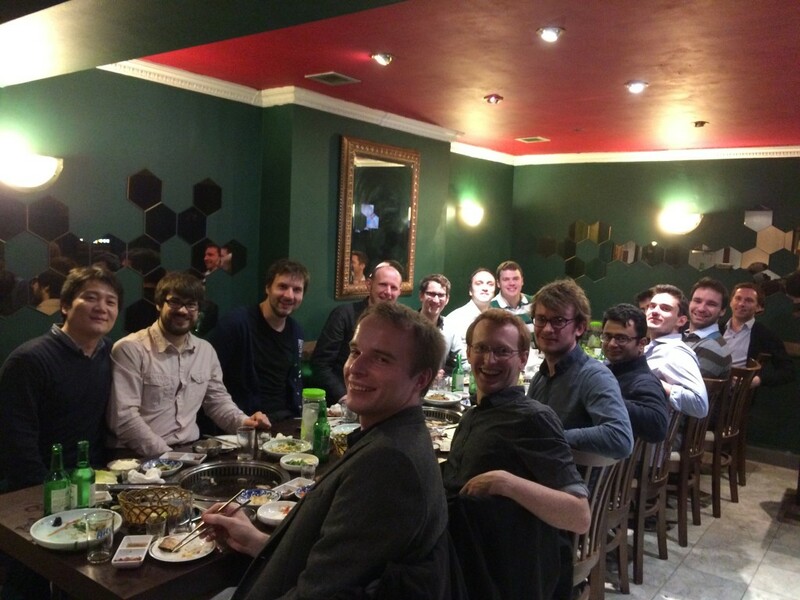 We had a Christmas party at a Korean restaurant. Merry Christmas from Robot Vision Group and Dyson Robotics Lab members!